Get ready to meet some runaway rodents with an earth-shattering secret! Suspenseful and heartwarming, this beautifully animated odyssey stars Mrs. Brisby, a mild-mannered mother mouse with a plan to move Heaven and Earth (or at least her house and home) to save her family from Farmer Fitzgibbon's plow! Along the way she gets some help from a lovelorn Crow, a busybody neighbor mouse and a fearsome Great Owl. Unfortunately, Mrs. Brisby will need an engineering miracle to hoist her home, and for that she must face a mysterious rat, fend off a ferocious cat and claim a magic amulet! 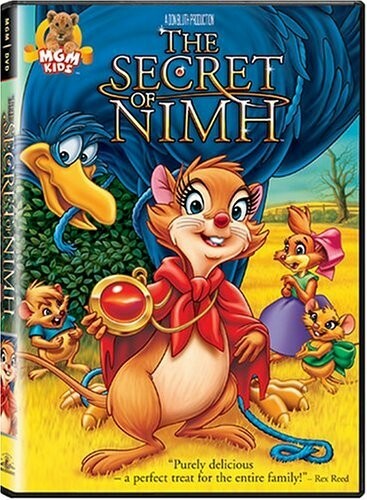 But when Mrs. Brisby discovers the astounding secret of NIMH...it could change her life forever! This timeless tale of love, courage and determination will transport the whole family into an enchanting world where the bravest hearts live in the meekest of mice. In his book, Robert C. O'Brien called his brave widow mouse "Mrs. Frisby," but Disney escapee animator Don Bluth must have thought kids would laugh the wrong way at that. They renamed her "Mrs. Brisby" for NIMH. 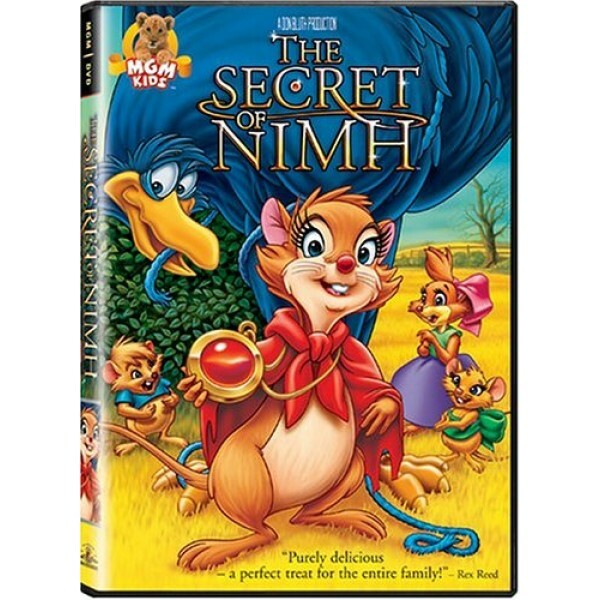 That acronym stands for the National Institute of Mental Health, and the rats that live near Mrs. Brisby came from NIMH--they have strange ways. But they're the only ones who can save her house and her children, so Brisby seeks them out with the help of a humorous crow (Dom DeLuise).